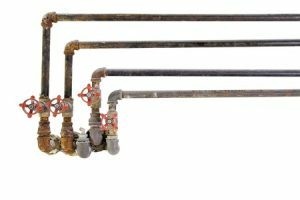 Damaged gas and water lines are a serious problem. Unfortunately, there are several things that can damage these vital lines. Tree roots, corrosion, shifting soil and weak sealants can all damage water and gas lines, and when even a minor problem occurs, it needs to be repaired immediately. Gas leaks are dangerous, and even a small water leak can waste thousands of gallons of water. At Rowell’s Services, we are here to help. We offer gas and water line repair throughout the Northfield, New Hampshire area, and we are always available to provide you with the expert service you need when you need it most. You rely on your gas and water lines almost constantly. Your water lines are responsible for constantly delivering fresh, clean water to your home, and you depend on your gas lines for cooking, heating your home and maybe even heating your water and drying your clothes. When either of these lines becomes damaged, you have a serious problem. A water leak drives up your water bill and can cause serious damage to your home. Water damage often costs thousands of dollars to repair, and even a tiny leak does a lot more damage than many homeowners realize. A leak in your water line may also make it possible for dirt and other debris to contaminate your drinking water. Damage to gas lines is extremely dangerous. Even a small pinhole leak puts you and your family at risk, so it’s important to call for help right away if you have any reason to suspect you may have a gas leak. When you need gas and water line repair services in Northfield and the surrounding communities, depend on the experts right here at Rowell’s Services. We are equipped to handle leaks and other problems quickly and safely, and we are available 24/7 to respond to emergencies. If you need gas and water line repair, call 603-934-4145 now.